OWH Stars and Stamps (Our OLD blog! ): Thanksgiving! What a fun color challenge last week, your cards were beautiful! 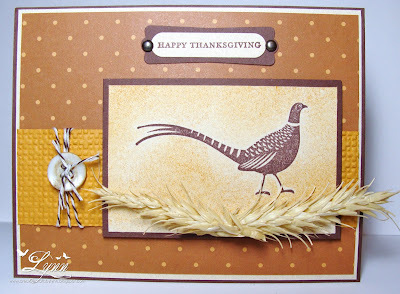 Our challenge this week is to make a Thanksgiving card! We challenge you to make cards for our heroes to send home to their loved ones using Thanksgiving for the theme. I can’t wait to see your card creations! Our sample card maker this week is Lynn, to see more of her fabulous art work please visit her blog Creative Crafts By Lynn. Thank you Lynn for sharing your awesome creativity with us! Thanks for a fun MWT challenge to do something different for this time of year! 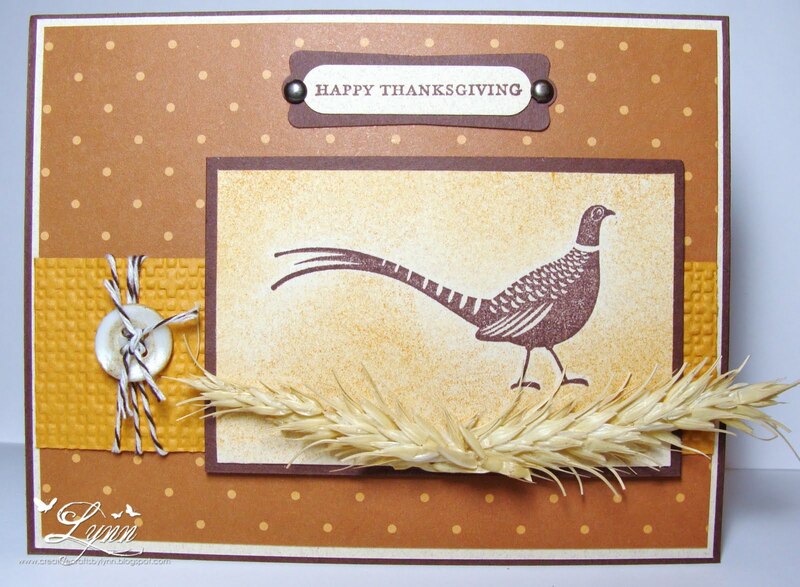 Great sample card Lynn, I love the wheat sprig!! Beautiful card, Lynn! Thanks for the inspiration! Great card Lynn! I love the wheat on your card!